Ed Voyles is the #1 CDJR Dealership Near Dallas, GA! Chrysler customers know exactly what they’re looking for. The Chrysler 300 is a great option for car shoppers looking for something reliable on the highway. It is one of the sleekest and most unique cars on the market and turns your commute into a luxurious experience. The Chrysler Pacifica is all you could want in a minivan. In terms of size and safety, you can’t get better than a Pacifica. We’ve even got a hybrid option! 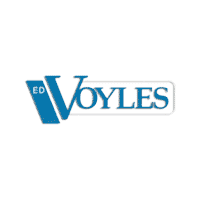 A standout on the road in Chrysler from Ed Voyles CDJR. Dodge has one of the most versatile lineups of any makes on the market. From sports cars to minivans and SUVs, there’s truly a Dodge for every lifestyle. Take the Charger and Challenger for example. These are the perfect cars to drive for thrill seekers and those who believe in finding the fun in every drive. The Dodge Durango is the ideal crossover. Mixing style and efficiency, this is a great car if you’re looking to size up for the first time and want to get used to something bigger. Consider a Dodge Journey or Grand Caravan if you need optimal space and power for you and your family. No matter what you need, Dodge has you covered! Jeep vehicles are ready for any obstacle life hands them. If that sounds like you, we have a Jeep waiting at Ed Voyles CDJR! Choose a Cherokee, Grand Cherokee, Renegade or Compass to navigate both trails and highways with ease. These are perfect vehicles for your commute, family travel, and weekend off-roading alike. If you like to feel the wind in your hair, consider a Wrangler. These vehicles keep you safe on the trail and make highway travel more fun. Nothing says ‘adventure’ like a Jeep. There’s no better pickup available today than a RAM. Choose between 1500, 2500, 3500 or any variety of commercial vehicles. In today’s competitive truck market, the RAM remains among the best for towing, mileage and overall customer satisfaction. We’ve got the most expansive inventory of durable RAM vehicles in the area, so we know you’ll find the one for you. If you need a powerful and reliable truck for both work and play, you get the full package with a RAM. We’re looking forward to seeing all of our Dallas, GA customers at Ed Voyles CDJR in Marietta. Just a short half-hour drive, we promise to make your trip worth it. Give us a call or fill out our online form to set up a test drive! We’ll have all the vehicles you’re interested in ready to go when you arrive. See you soon! 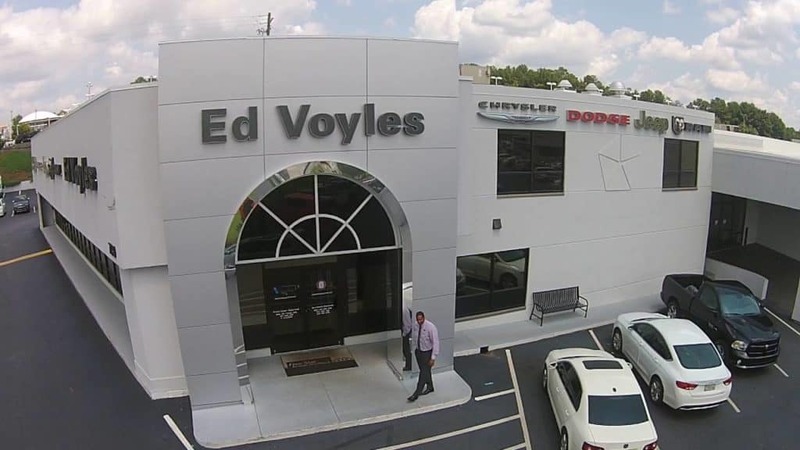 0 comment(s) so far on Ed Voyles is the #1 CDJR Dealership Near Dallas, GA!